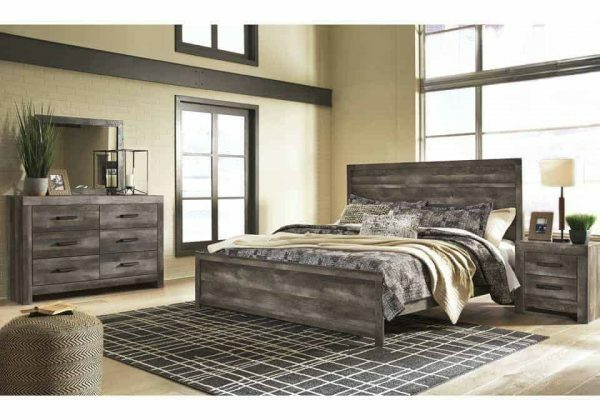 The Wynnlow bedroom set is sure to win your heart with its daring, designer take on modern rustic. 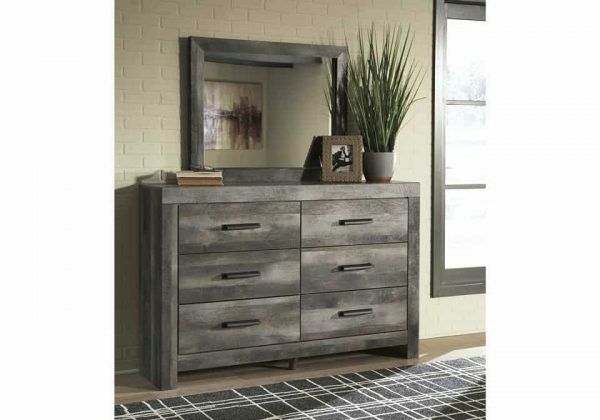 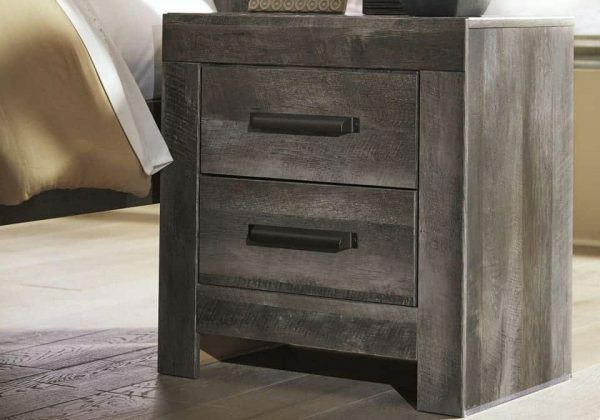 The bedroom set’s crisp, clean and minimalist-chic profile is enriched with a striking replicated oak grain with thick plank styling and a weathered gray finish for that much more authentic character. Large-scale hooded pulls gracing the flush-mount drawers add such a distinctive twist.